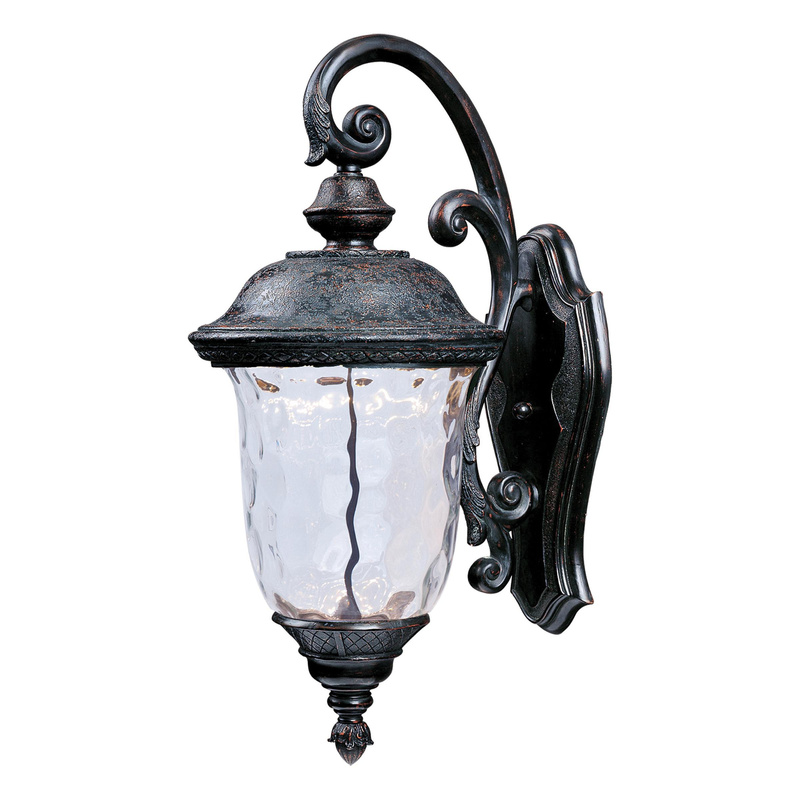 Maxim Lighting Carriage House LED Collection 1-Light outdoor wall mount fixture in oriental bronze finish, features die-cast aluminum construction. Water glass offers even light distribution. Fixture supports one 8-Watt LED lamp that has voltage rating of 120-Volts. Lamp has more than 80 color rendering index and color temperature rating of 3000K to ensure optimal light level. Lamp offers 560-Lumens of bright light output. Wall mountable fixture measures 9-Inch x 20-Inch. Base backplate of this fixture measures 5.5-Inch x 12.5-Inch. It has 12.5-inches of extension from the wall. Fixture meets California Title 24 requirements.